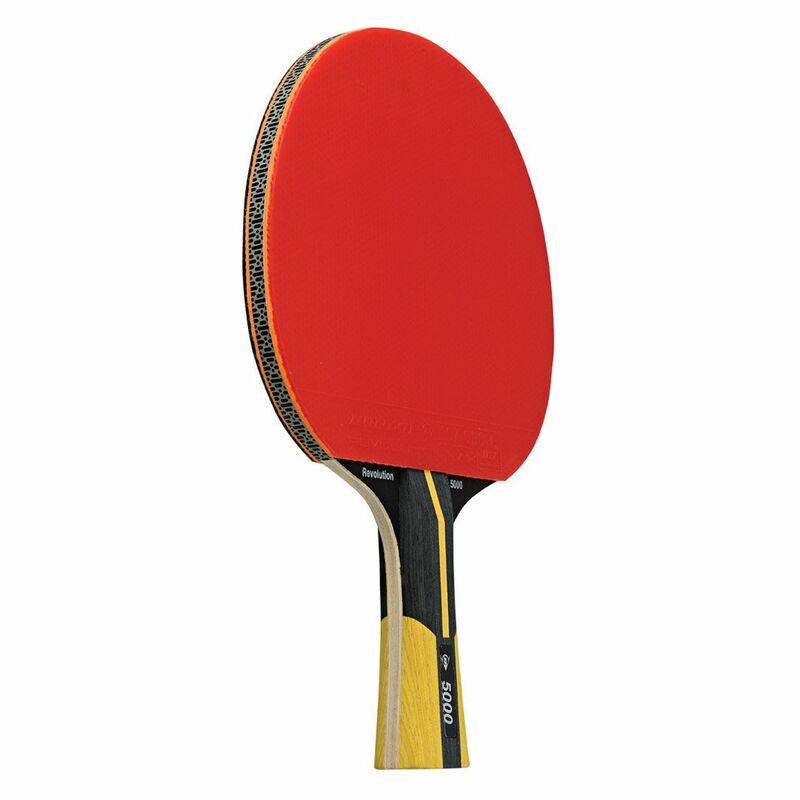 The Dunlop Revolution 5000 table tennis bat is approved by the ITTF (International Table Tennis Federation) and offers the Hexagonal Damper control, as well as a concave grip and the 5 Ply ProA+ blade to guarantee excellent control and feel. This high quality bat is designed for advanced players and features a D30 sponge together with the Dunlop Revolution Max rubber. Additionally, the bat is fitted with the Biomimetic Aeroskin edges and delivers superb speed and spin. for submitting product review about Dunlop Revolution 5000 Table Tennis Bat.